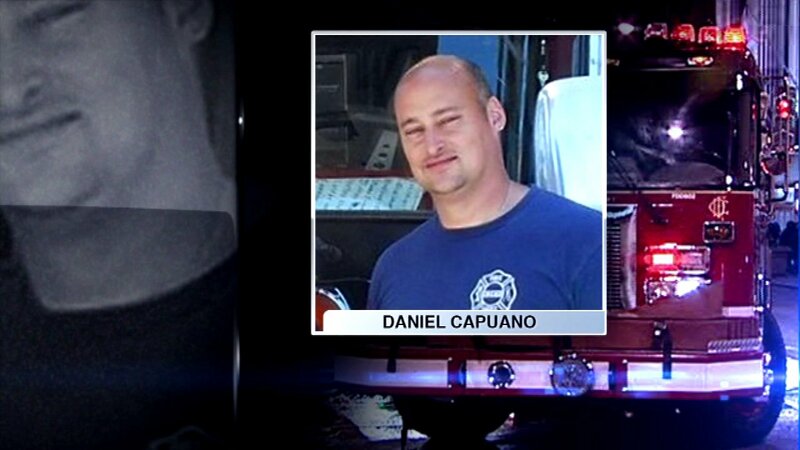 CHICAGO (WLS) -- The family of Chicago Firefighter Daniel Capuano filed a wrongful death-negligence lawsuit against the company that owns the building, the ABC7 I-Team has learned. Anilroshi, LLC, owns that warehouse where Capuano fell down an elevator shaft while fighting the early morning fire at a warehouse on Monday. The suit, filed in Cook County Court, claims the company is responsible for numerous safety violations including the failure to provide protection from falling through holes in the building and failure to obtain building permits to safely decommission an elevator. City Building Department officials say the removal of the warehouse' elevator was underway without authorization. Capuano was married with three children. His visitation was held Thursday. The family is represented by the Chicago law firm Motherway and Napleton.